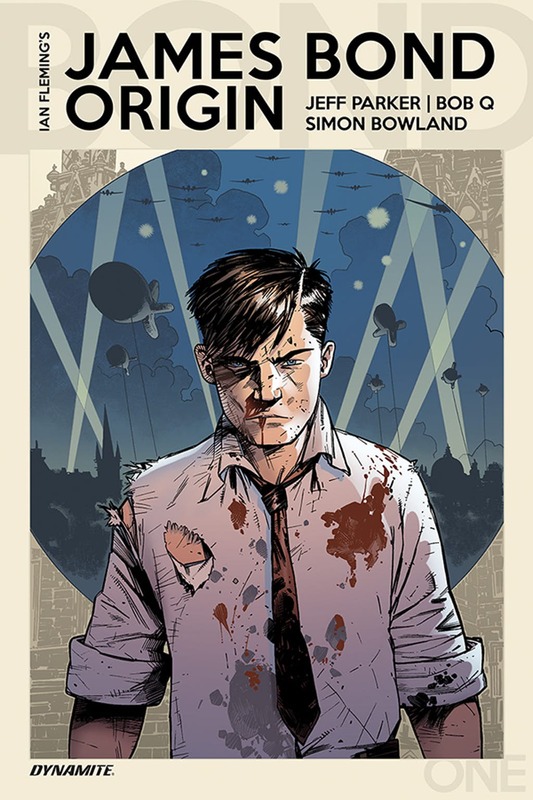 Comic Book Resources today at long last revealed details about Dynamite's long in the works James Bond Origin comic book. 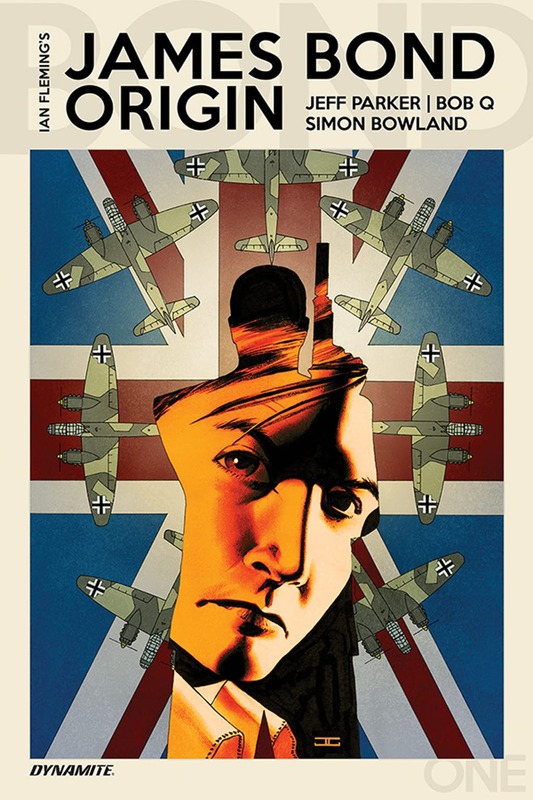 The WWII-set comic was a cornerstone of Dynamite's initial announcement of their acquisition of the James Bond license (to kill) way back in 2014, and we got further hints over the years that it was still being worked on, in close association with rights-holders Ian Fleming Publications. But 007 fans have long since learned that patience is a necessity when it comes to Bond comics. (Anyone else recall the excruciating delay between issues of the Eclipse/Acme series Permission to Kill, or Dark Horse's Serpent's Tooth, back in the early 90s? Or, worse still, the Bond comics that ran so late they were eventually cancelled, like Dark Horse's A Silent Armageddon or Topps' GoldenEye? The promised follow-ups to the Dark Horse serials "Light of My Death" and "Minute of Midnight" that never materialized? 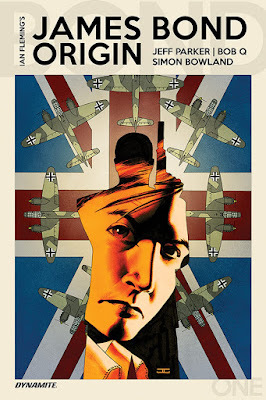 Or, more recently, the years of delays on Dynamite's Casino Royale graphic novel adaptation?) While delays have been inevitable, Dynamite so far has rewarded fans' patience better than any other publisher to ever hold the Bond license. The Fleming adaptation Casino Royale, which was also first announced in that initial 2014 press release, finally arrived earlier this year as a handsome hardcover, and now the company is making good on their James Bond Origin promises as well! According to CBR, the ongoing series (not miniseries!) James Bond Origin will debut in September with star American comic book writer Jeff Parker at the helm. Fans have long speculated about who would be hired to write this crucial stage of Bond's career. Early on I was rooting for Howard Chaykin, but I honestly couldn't be happier with the choice of Parker. He's the perfect guy for the job, being no stranger to the spy genre or even to period spy stories. One of his early mainstream successes was the Bourne-ish graphic novel with a sci-fi spin The Interman. This led to his rebooting Marvel's Atlas-era heroes as the Agents of Atlas, led by FBI agent Jimmy Woo who debuted in Atlas's Yellow Claw before Steranko made him an agent of S.H.I.E.L.D. during his seminal run on Nick Fury. He later spearheaded a very successful run at DC writing the modern comic book version of the 1960s Adam West TV show, Batman '66, and eventually penned the very fun crossover Batman '66 Meets The Man From U.N.C.L.E., which remains (sadly) the only U.N.C.L.E. comic of this century and belongs on every spy fan's shelf. More recently he tackled another Sixties TV icon with strong spy roots, Jonny Quest, in the popular DC series Future Quest. 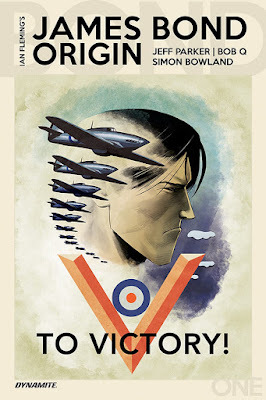 He's definitely got what it takes to tell the largely untold story of James Bond's wartime career! Dynamite veteran Bob Q. (Kings Quest, Green Hornet '66 Meets The Spirit) will handle art chores. And based on his variant covers for James Bond Origin (right, or see another one at CBR), he looks well-qualified to do so! Premiere issues from Dynamite are always heralded by a wide range of variant covers, and James Bond Origin will be no exception. Comics luminaries John Cassaday, David Mack, Kev Walker, Gene Ha, Ibrahim Moustafa (who wrote and drew one of Dynamite's best Bond comics to date, "Solstice"), and Bob Q. and Jordan Boyd will provide those covers. Dynamite has previously trumpeted this series as the first time the tale of Bond's origins has been told, but that's not strictly true. 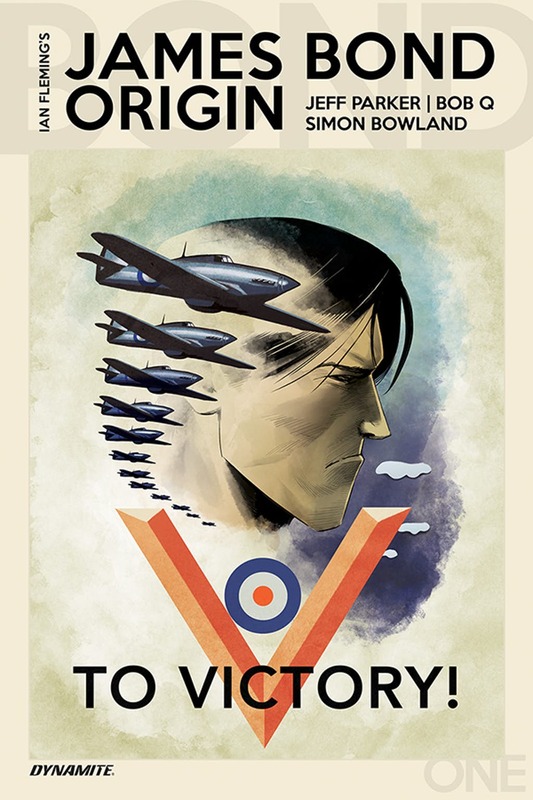 John Pearson covered Bond's pre-war and wartime espionage career in great depth in his 1973 continuation novel James Bond: The Authorised Biography of 007, and William Boyd provided flashbacks to Bond's WWII service (cheekily putting him in the 30 Assault Unit, the elite commando unit assembled by Commander Ian Fleming when he worked for Naval Intelligence) throughout his 2013 continuation novel Solo. Horowitz chose to ignore Pearson's account in Forever and a Day, so I wouldn't expect to see any of that incorporated into Parker's comic book. Whether or not he ties his stories into Solo (a much more recent addition to the Bond canon, commissioned by the same regime at IFP who are working on this series) remains to be seen.